Many are ditching the classic red carpet/step and repeat duo and opting for something more innovative. Who says the red carpet, has to be red? Is your branding blue? Have guests walk the blue carpet! Hosting a sport awards night? Why not try a green turf? Warner Brothers Entertainment Group recently used a color-striped carpet to mimic the color bars on a television. Looking for an alternative to the step and repeat? Live greenery walls with flowered logos give your event a natural element. 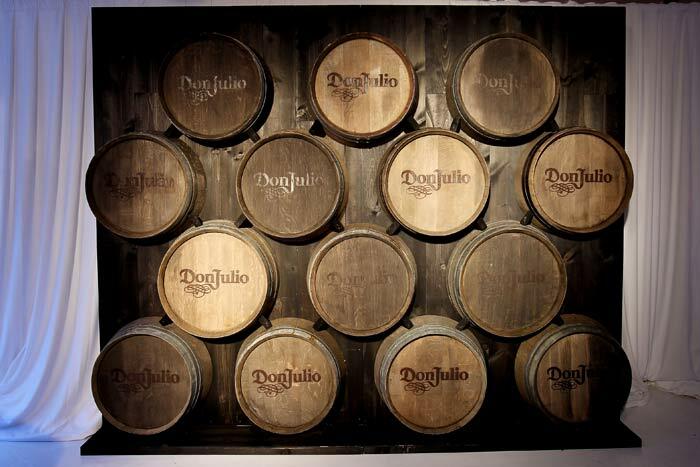 Or how about a custom backdrop made out of your company’s product, like this Don Julio tequila barrel wall? Have sponsors you need to display? Check out the paneled backdrop and black carpet used at the Men in Black 3 premiere. Be sure to make a great first impression the moment your guests step out of their car. For more ideas on custom entrances, contact info@evntiv.net.